(By Osservatorio Mashrek)In the Sinai the largest military operation since the war of October 1973 against Israel is ongoing, however, so far little has emerged to shed a light on the real motivations behind it. In 9th February 2018, Egypt’s president Abdel Fattah al-Sisi, moved hundreds of soldiers including special forces, tanks, armed personal carriers, as well as heavy engineering equipment in north Sinai and ordered to his officials to crush jihadist militants after an attack on a mosque in November killed 300 people in the deadliest terror attack in the Arabic country so far. Officially, the main goal of the campaign “Sinai 2018”, is to eradicate the Islamic State group in the Peninsula which, according to the report, have around 1,000 well trained and equipped fighters that since 2011 has carried out hundreds of operation targeting the Army and the military outpost. However, according to some experts, the goals al-Sisi is trying to achieve is not limited to this. Yoni Ben Menachem, senior Middle East analyst for the Jerusalem Center for Public Affairs, recently stated that the Egyptian army has launched a large-scale military operation in northern Sinai to create a five-kilometer buffer zone between Egypt and Gaza as the Army has already begun to operate in several neighborhoods of the city of Rafah, destroying homes and evacuating residents to facilitate the creation of the buffer zone. According to the rumors, with the Sinai Campaign al-Sisi may be putting forward a clean-up of the area in preparation for the implementation of the “century deal” of US President Donald Trump, under which Sisi agrees to give parts of the Sinai to the Gaza Strip to settle tens of thousands of Palestinian refugees to establish an independent Palestinian state. The idea is not new. 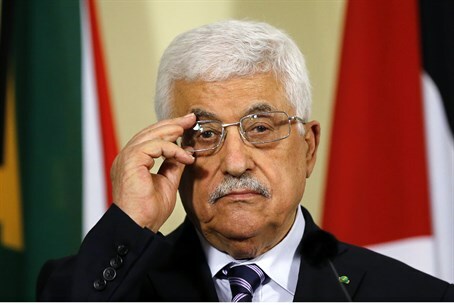 Back in 2014, Palestinian Authority President Mahmoud Abbas has already rejected an Egyptian proposal to resettle Palestinian refugees in the Sinai Peninsula to be connected with the Gaza Strip. In this occasion, he stated that a senior Egyptian official had approached him and suggested settling Palestinians in an area 1,600 square kilometer. Offer that was prompty rejected by Palestinian counterpart and some in Israel as the time was “not right”. Neverthless, a news report from Israel noted that Israeli Prime Minister Benjamin Netanyahu asked the Obama administration in late 2014 to consider a plan in which Israel would annex large parts of the West Bank, exchanging land from Egypt in the northern part of Sinai with the Palestinians. The Prime Minister’s Office denied the account as “not true”, however, according to an unnamed official contacted by Haaretz, Netanyahu raised the idea with U.S. President Barack Obama and Secretary of State John Kerry on a number of occasions. Now rumours are circulating that the Sinai plan is being revived. According to Likud’s member Ayoub Kara, Prime Minister Benjamin Netanyahu and US President Donald Trump discussed again of a plan to establish a Palestinian state in Gaza and the Sinai Peninsula, reviving an idea long rejected by the international community. Kara also stated that the two would give their support to a proposal reportedly put forward by Egyptian President Abdel-Fattah el-Sissi. “There is no doubt that this is what Israel would like to see happen,” Shawqi Issa, a Palestinian analyst and former government minister in the PA, told Al Jazeera. Issa believes Israel is now firmly set on turning Gaza into the Palestinian state, as part of a regional solution that might also see the Palestinian cities of the West Bank, currently in Abbas’ charge, ultimately falling under Jordanian responsibility. “This fact should not be denied by the Palestinian leaders themselves who began proposing a one-state program as an alternative to the two-state project,” he said, referring to remarks by Abbas aide Saeb Erekat warning that Palestinians could start pressing for equality in a one-state framework. Instead, he predicted, Israel will opt for a “regional solution” by which a Palestinian state will be created in Gaza. “Land will be added from the north of Sinai, and Israel will give Egypt Negev land to compensate for that. As for the West Bank, Israel will annex Area C, the area currently under full Israeli control, and issue Israeli identity cards to Palestinians who live there.Meanwhile, autonomy will be granted to the large cities of the West Bank or perhaps there will be an administrative link to Jordan. Security from the Mediterranean Sea to the Jordan River will be under the control of Israel,” he wrote.